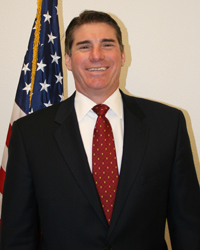 Bruce joined the Washoe County District Attorney’s Office in 1994 as a felony prosecutor. He was appointed Chief Deputy in 2008 and appointed Assistant District Attorney in 2015. He received his undergraduate degree from California State University, Sacramento and his graduate degree from McGeorge School of Law. He founded the Mock Trial program at the University of Nevada, Reno in 2010 where he served as Adjunct Professor and the Head Coach for the University Mock Trial teams through 2015. He also serves as a lecturer in Search & Seizure law at the Northern Nevada Law Enforcement Academy and frequently lectures for the Washoe County Sheriff’s Office, Reno Police Department, Sparks Police Department and the Reno-Tahoe Airport Authority. He is a former Governor for the State Bar of Nevada and remains active in several committees.